On Wednesday, I spent a great deal of time thinking about the radio…I wonder why?!? I didn’t have enough time to find all the news I was looking for, however, I plan on collecting some more information that I hope will be interesting. Rush Limbaugh has a weekly audience of at least 15 million listeners and makes approximately $750,000 each week. 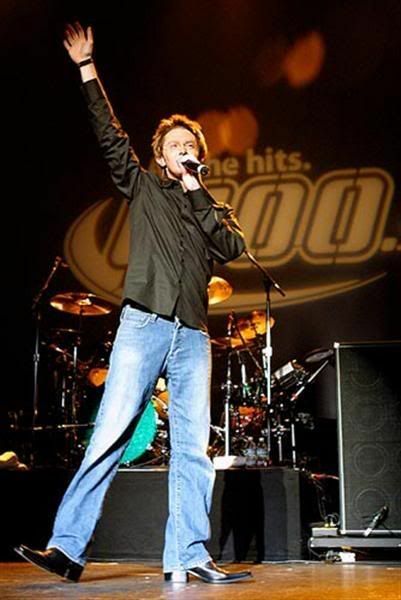 Hot contemporary radio stations usually play a combination of classic hits and mainstream music…some also include pop music and alternative rock. Hot AC stations target their music to the 18-54 age group and both men and women. 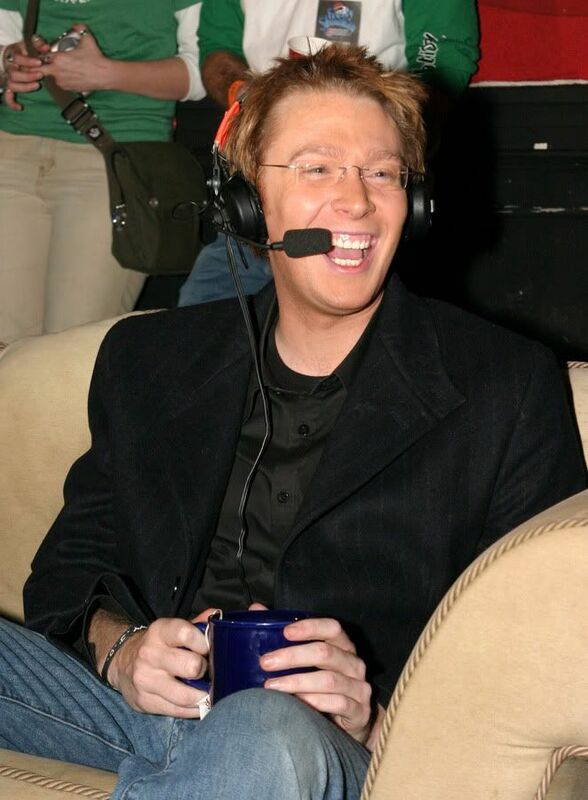 John Tesh hosts a nationally syndicated radio show based inLos Angeles. 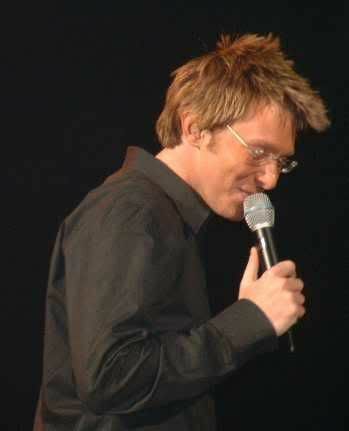 According to Tesh, the show airs on about 300 stations nationwide. Look for more information about radio personalities and AC music next week. Jeff McKay, a writer at the website, RadioInfo will be releasing a 5 part study on the state of the radio personalities. I hope it is filled with interesting information and easy to understand! 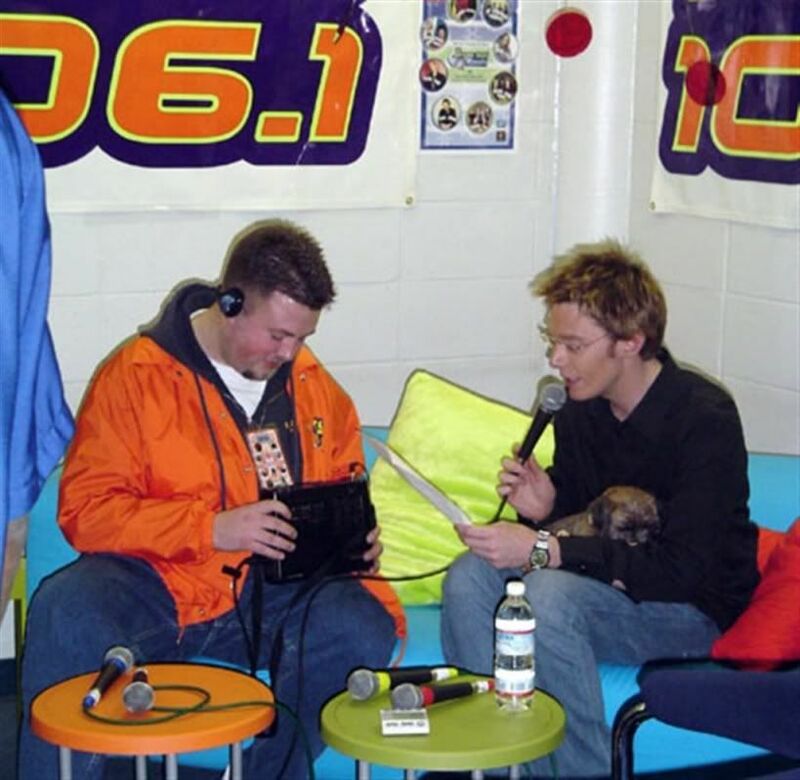 The Radio…Clay Aiken has not had a lot of play on the radio, but he has certainly done his share of interviews with many stations. 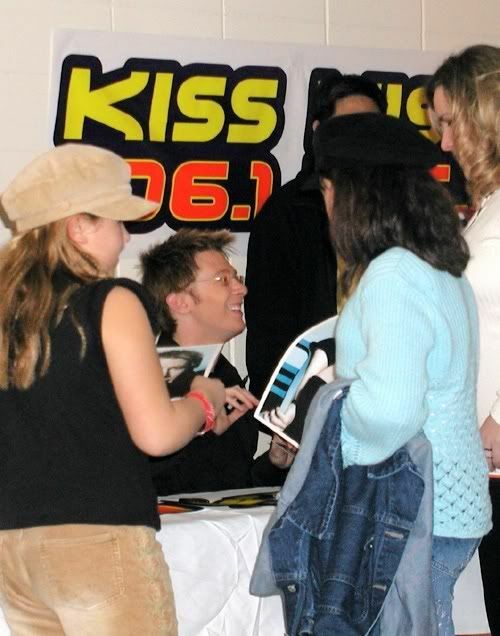 He even participated in a few radio tour stops at the beginning of his career. 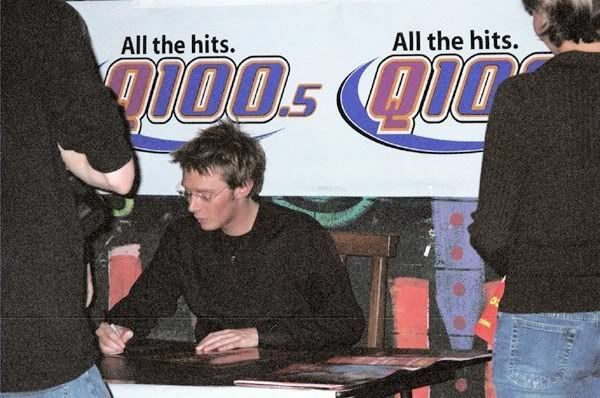 The following are some pictures from Clay’s radio days!! 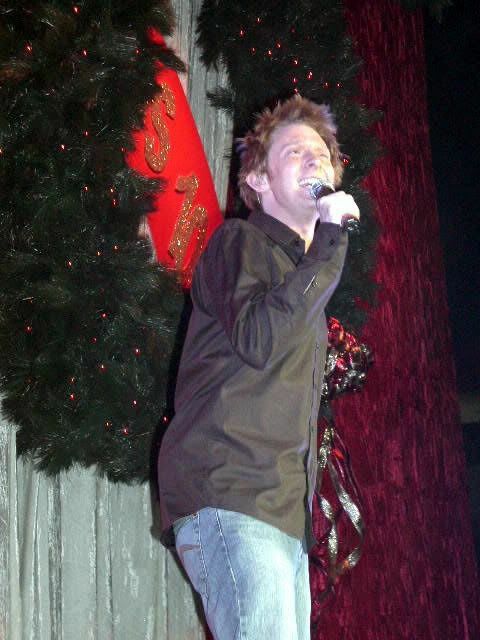 Did you see Clay at any of the Radio Concerts? Unfortunately I've never been to a Radio Concert 🙁 I sure would LIKE to tho, lol! Radio radio….wonder why we are talking about the radio? Hmmmmm? After listening to Clay's web chat Tuesday I wish him and Quiana lots of success on their new venture, I'll be listening for more info and loved the photos. Thanks Musicfan and Deona for the info you posted xox. Never had the opportunity to attend/listen to a radio concert. I try to catch them on line when they are posted. Now I'm wondering if I'm too old for any new programs on the radio?! I haven't listened to the radio since I obtained my first Clay CD 10 years ago. I just may start listening again. 🙂 Thanks for the great pics, musicfan. How young and cute our guy looks in the 2nd pic from the top. Error: Error validating access token: Session has expired on Tuesday, 21-Aug-18 16:13:01 PDT. The current time is Thursday, 18-Apr-19 06:01:17 PDT.